Mostra di Codici Gonzaghesch, Mantua. Biblioteca Comunale Teresiana, Mantova. 1966. 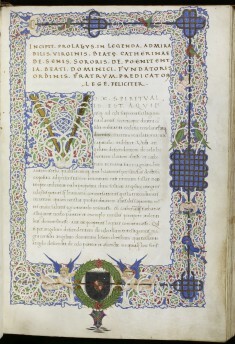 Manuscript Painting in the Renaissance. The Walters Art Gallery, Baltimore. 1989-1990. Renaissance Books and Manuscripts of the Humanist Age. The Walters Art Gallery, Baltimore. 1994-1995. Dressed in Gold: Books of the Italian Renaissance. The Walters Art Museum, Baltimore. 2005-2006. 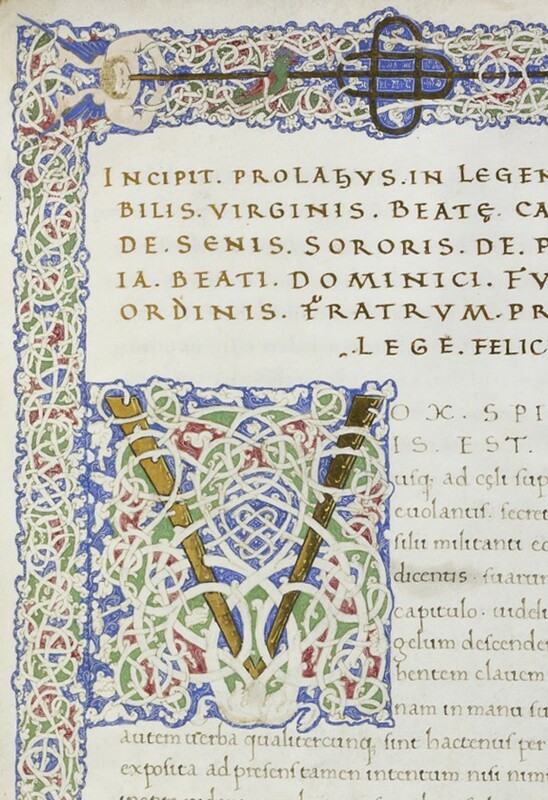 The Saint John's Bible: A Modern Vision through Medieval Methods. The Walters Art Museum, Baltimore. 2009. Provenance Library of Gonzaga Marquis, dukes of Mantua [arms on fol. 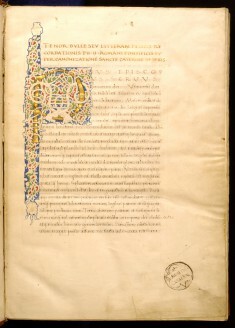 110r]; Museo Cavaleri, Milan [date and mode of acquisition unknown] [stamp on fol. 1r]; Demoulard [publisher] [date and mode of acquisition unknown]; Pietro Vergani [date and mode of acquisition unknown]; Sale; Charles Butler, Hatfield [date of acquisition unknown], by purchase; Sale; William Morris [date of acquisition unknown], by purchase; Sale, London, 1898, no. 345; Laurence W. Hodson, 1898, by purchase; Sale, London, 1906, no. 109; Quaritch, 1906, by purchase; Olschki [date and mode of acquisition unknown]; Henry Walters, Baltimore, after 1912 [inv. no. 30433, list of ca. 1912, no. 53]; Walters Art Museum, 1931, by bequest.